Youssef Fares has spent much of his younger years on the family estate in Akkar. He completed his agricultural studies in Lebanon, before pursuing a Master’s degree in business management in France. It took just one visit to that same estate one Christmas to develop a desire to take over his family’s traditional olive oil business. 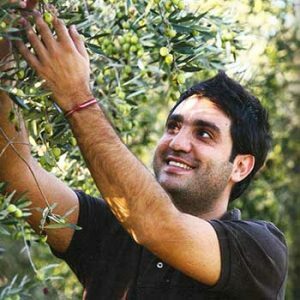 With determination, he worked to bring forth international standards to the production of organic and extra virgin olive oil. Success followed with the ISO 22000:2005 and Cleaner Production certification, along with different awards including BIOL in Italy, Extra Virgin Olive Oil competition in LA, and HORECA in Lebanon. Ultimately the Zejd brand was created, carrying a wide range of carefully crafted olive-derived products sold locally at the flagship Zejd store in Beirut, as well as at select export markets.